Over the years, Twitter has become one of the largest communication platforms providing key data to various applications such as brand monitoring, trend detection, among others. Entity linking is one of the major tasks in natural language understanding from tweets and it associates entity mentions in text to corresponding entries in knowledge bases in order to provide unambiguous interpretation and additional context. State-of-the-art techniques have focused on linking explicitly mentioned entities in tweets with reasonable success. However, we argue that in addition to explicit mentions – i.e. ‘The movie Gravity was more expensive than the mars orbiter mission’ – entities (movie Gravity) can also be mentioned implicitly – i.e. ‘This new space movie is crazy. you must watch it!.’ This paper introduces the problem of implicit entity linking in tweets. We propose an approach that models the entities by exploiting their factual and contextual knowledge. We demonstrate how to use these models to perform implicit entity linking on a ground truth dataset with 397 tweets from two domains, namely, Movie and Book. 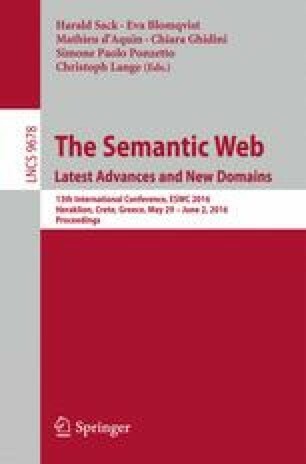 Specifically, we show: (1) the importance of linking implicit entities and its value addition to the standard entity linking task, and (2) the importance of exploiting contextual knowledge associated with an entity for linking their implicit mentions. We also make the ground truth dataset publicly available to foster the research in this new research areacity.